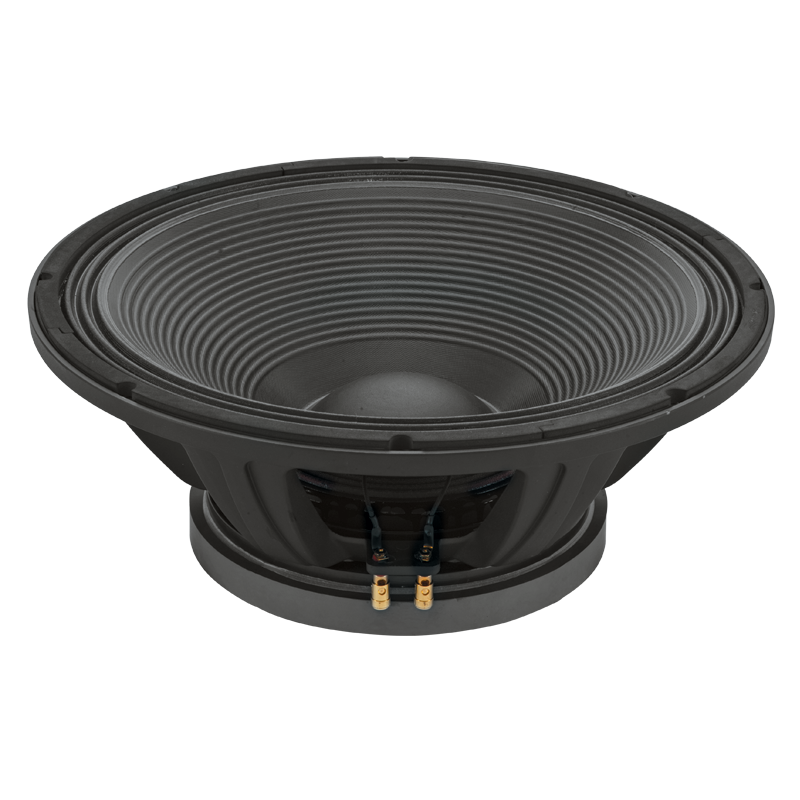 Powerful and reliable speaker for various bass & subwoofer applications. Robust aluminium die-cast frame with dual forced air ventilation for efficient heat dissipation. 4" INSIDE/OUTSIDE copper voice coil. Triple roll surround and re-inforced conex spider for improvec linearity control. Ideal professional bass speaker for live music, sound reinforcement and all PA applications.